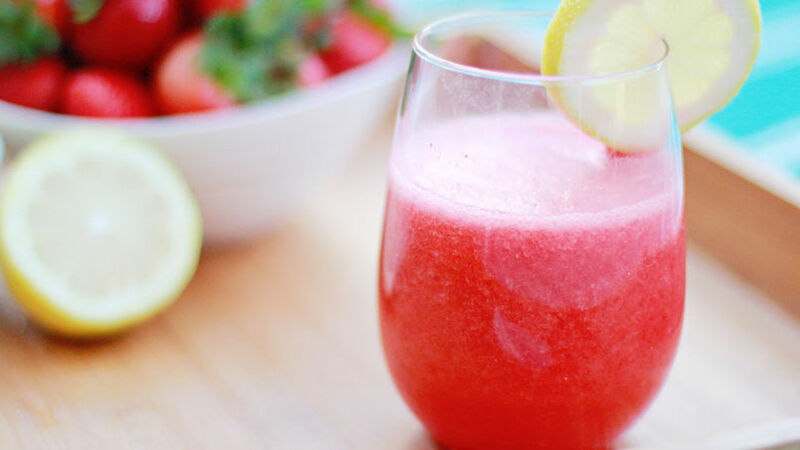 In a blender, process frozen strawberries, lemon juice, water and honey together until smooth. Taste for desired level of sweetness, adding more honey if necessary. Serve immediately in chilled glass. For a stronger lemon flavor, consider blending lemon quarters, with zest and all! Drink this lemonade fresh because its bitterness gets stronger with time. My kids love homemade juice, especially any honey lemon drink recipe that satisfies their sweet tooth. They enjoy drinking "tea" with me–which is really just warm water infused with lemon juice and a dash of honey–and I love knowing that they are getting the health benefits of the citrus powerhouse. However, for those days when they want to cool off, they love my honey lemon drink recipe that includes their all-time favorite fruit: strawberries! This honey strawberry lemonade takes frozen strawberries instead of ice and the honey gives the lemonade a smooth sweetness that my kids love.